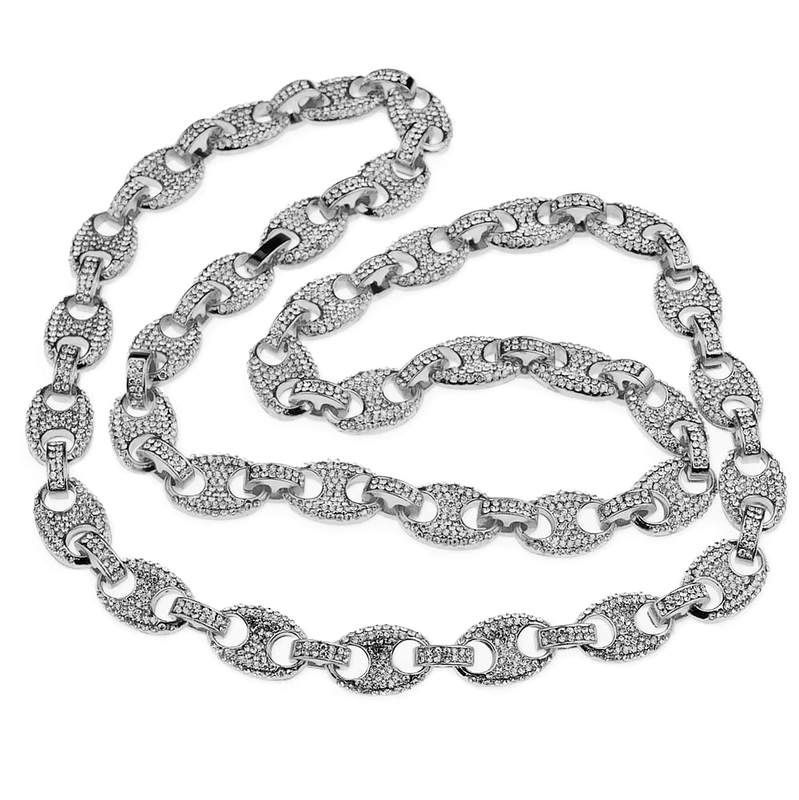 Men's Mariner iced-out chain necklace. 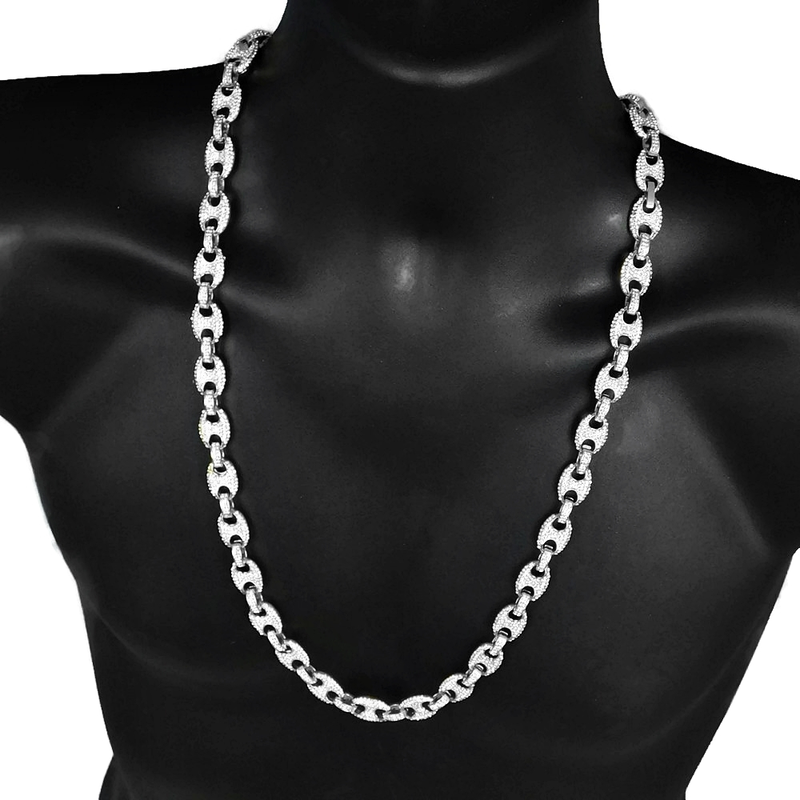 Measures 30 inches long x 12mm wide. Nicely iced-out with a multitude of stones. Silver tone over high quality base metal. 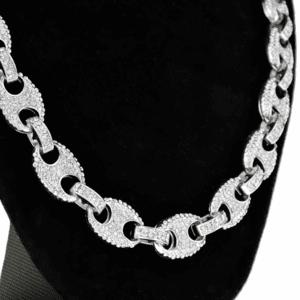 Chain has some weight to it at 130 grams. 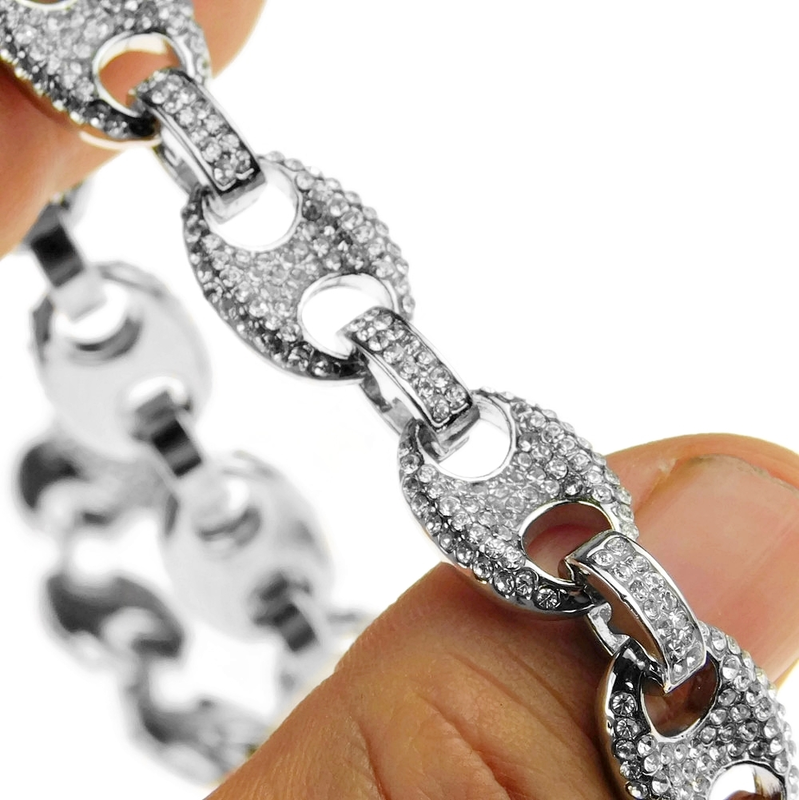 Stylish and secure luxury box clasp closure. 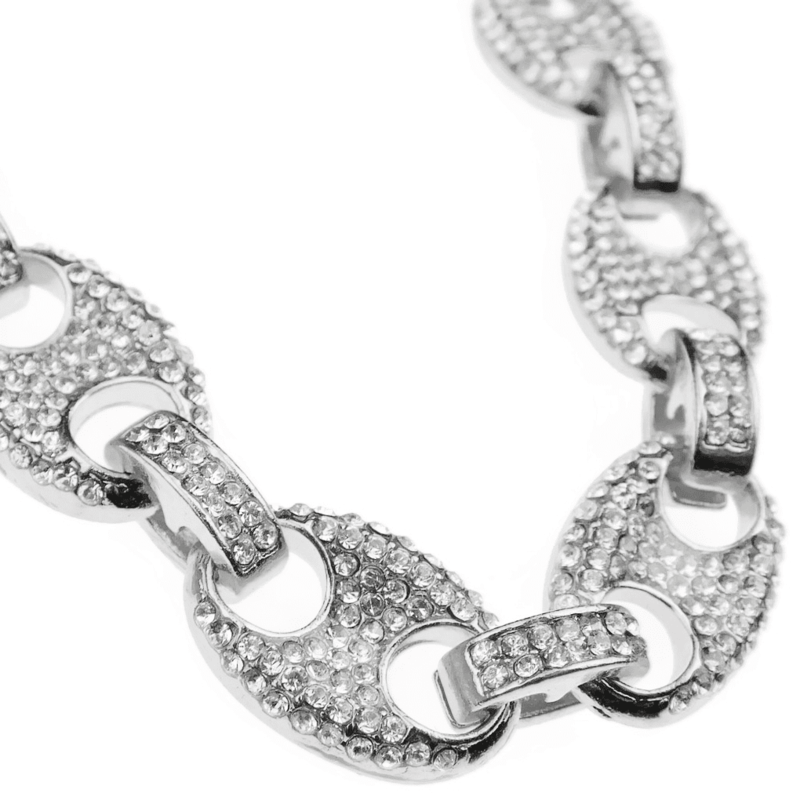 A totally iced-out chain that will impress.